A former regional journalist is cycling to Holland and back to say thank you to a hospital which treated him. Joby Mullens, who used to work at the Banbury Guardian and Worcester News, will undertake the 10-day ride across the Channel next month. 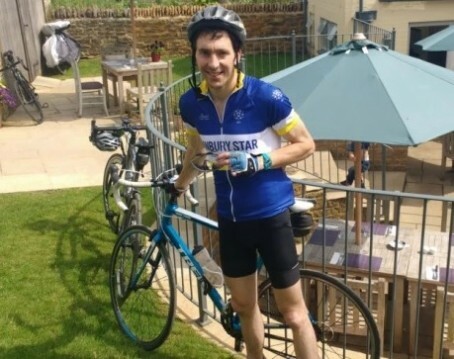 Joby, who now works as alumni networks officers at the University of Oxford, is riding in aid of Horton General Hospital, in Banbury, where he had an operation last month. The ride, beginning in the Oxfordshire town on 27 August, will see him head to Harwich, via Oxford and Cambridge. Once in Holland, he will visit The Hague and Rotterdam, before returning to England after cycling through Belgium and France. The 39-year-old, pictured below, will arrive back in Banbury on 5 September. He said: “I’m planning to stay in hostels along the way and just take one backpack for the 10 days. “I’ve got no specific desire to be in the limelight so to speak but have an overwhelming desire to do my utmost to give something back to the truly wonderful staff at the hospital for the incredible support and care they give to so many. Anyone wishing to sponsor Joby can do so here.